This enchanting headpiece combines vintage style with modern charm. 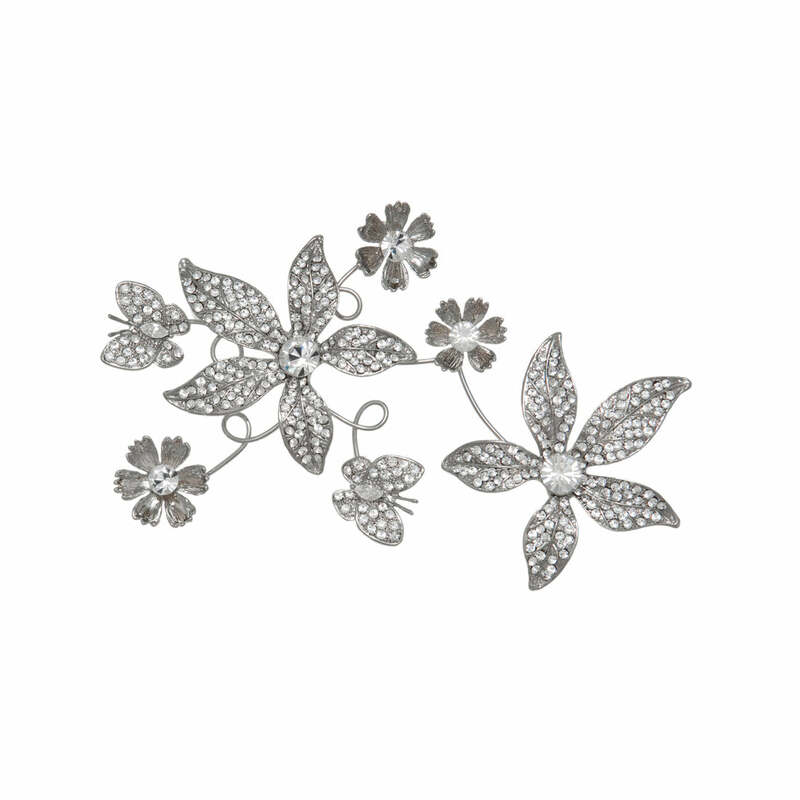 Our beautiful silver tone floral headpiece is enchanting and utterly captivating. Featuring two large Austrian crystal encrusted flowers enhanced with trailing crystal butterflies and petite flowers, it combines vintage class with an air of chic contemporary charm. Inspired by the extravagant hair accessories from the 1920s with hints of the glamorous 1940's Hollywood and modern simplicity, this is a statement ‘piece’ to wear for any special occasion. A versatile accessory which can be worn at the side of the head above a loose side bun or worn vertically at the back of the head to dress an elegant French pleat, it features petite hoops for securing to hair with kirby grips. Team with an antique style wedding gown for romantic, vintage bridal style.